One of the things that I wanted to do more of this Fall was cook. I'm a sucker for pre-prepared meals and going out because it's easy, but I have a huge Pinterest board filled with savory recipes and another with desserts that I for the most part haven't touched. I want to change that, especially this season when there are so many fun cold weather recipes that look so good! So today I thought it would be fun to round up some of the recipes I've found on Pinterest that look delicious and will hopefully attempt these next few months! My roommate has been on a banana bread kick lately, but I messaged her this recipe on Pinterest so we can get the house smelling like Fall. Seriously though, can you imagine how good this smells? I think this would be good if you're looking for a sweet breakfast or a dessert! I'm a huge fan of chicken noodle soup, and this is essentially a thicker chicken noodle but substitute noodles for potatoes. I looked at the recipe and it looks easy enough for me to make it, meaning anyone should be able to! I'm picturing myself with a hot bowl of this on the couch watching Hocus Pocus, anyone else have a favorite "Fall" movie? Okay, this sounds weird, but sometimes I daydream about apple cider. I've had great hot apple cider in the fall, traditional apple cider (essentially apple juice) from Colonial Williamsburg, and good ol' Martinelli's that I can pop like champagne. No matter what form apple cider is in, I will drink it. So when I came across these apple cider waffles my immediate thought was "YES." Definitely excited to make these on one of those lazy Sunday mornings! Is anyone else's mouth watering over these? I love peaches, and even though they're traditionally a summer fruit I always like to use them in the Fall as well. These look like they would taste like a cross between a cobbler and a shortbread, which is basically my dream. Nothing says Fall dinner to me more than a stew. This one looks amazing, and in my mind it's better because it's labeled as "old-time." 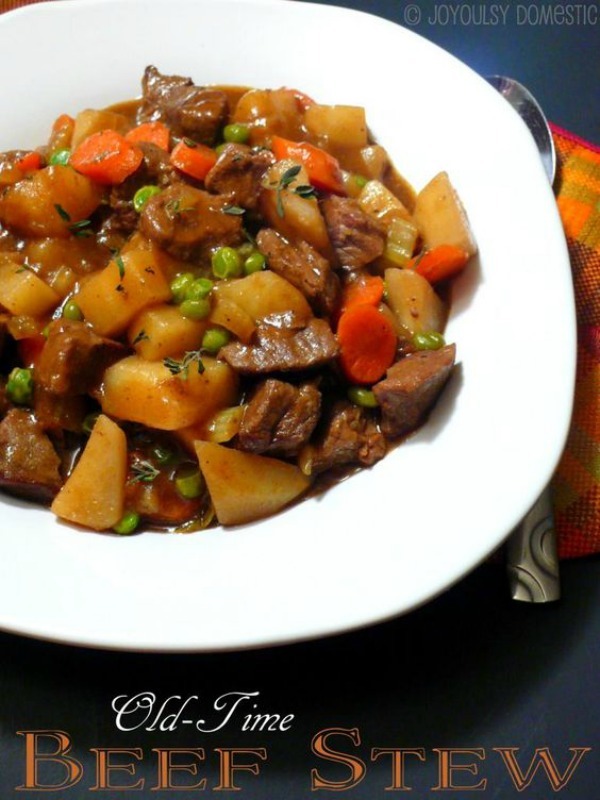 I love a classic beef stew that has tender meat and fresh vegetables. If you're a vegetarian just add some extra veggies and take out the meat! Literally drooling over some of these recipes! 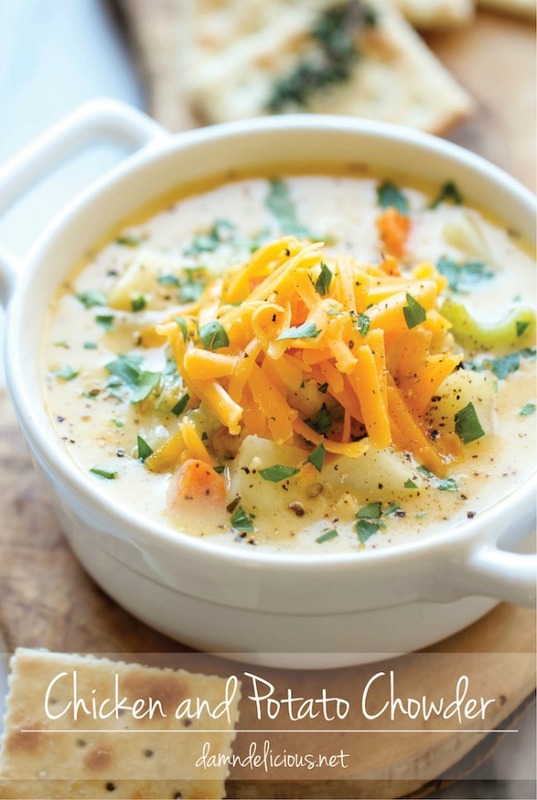 Chicken and potato chowder sounds like music to my ears! I LOVE that pumpkin bread! I've been making that exact recipe for the last two years. It's seriously my favorite! Ok all of these look so good and I will definitely have to try them. Wouldn't matter which one I made my family would enjoy all these recipes. Uhm salivating! 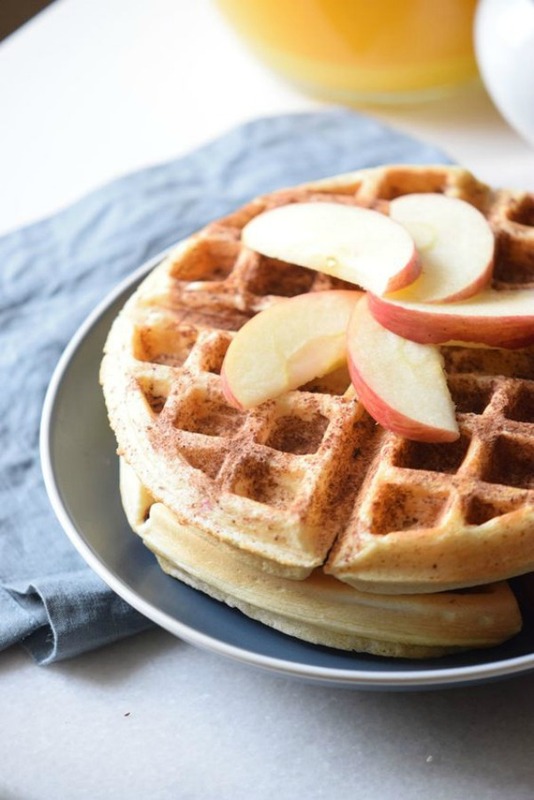 Apple cider waffles? Pumpkin bread? Oh I love the food this time of year! It's my fave! 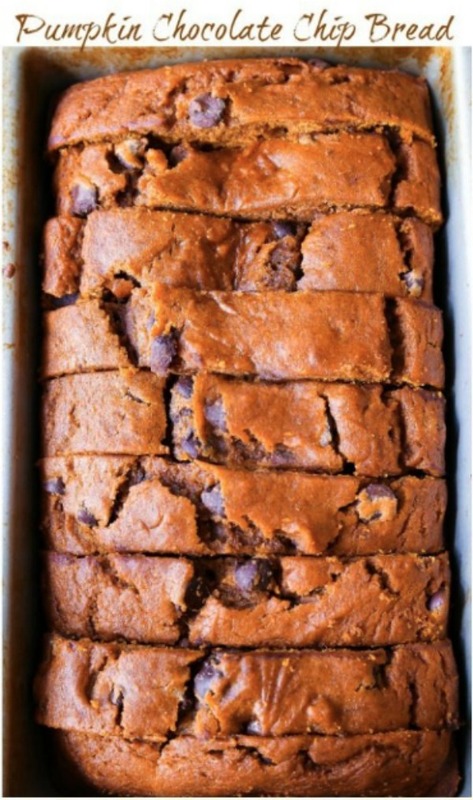 I love making a big batch of chocolate chip pumpkin bread every year! It may have to happen this weekend! That chicken and potato chowder looks like it is to die for! I'm definitely a soup girl, less pumpkin spice kind of girl, in the fall. I'm definitely going to save this for my list of recipes to try this fall! Great recipe roundup! The soup looks like the perfect comfort food for Fall! Mmmm..that pumpkin breads looks DELICIOUS! 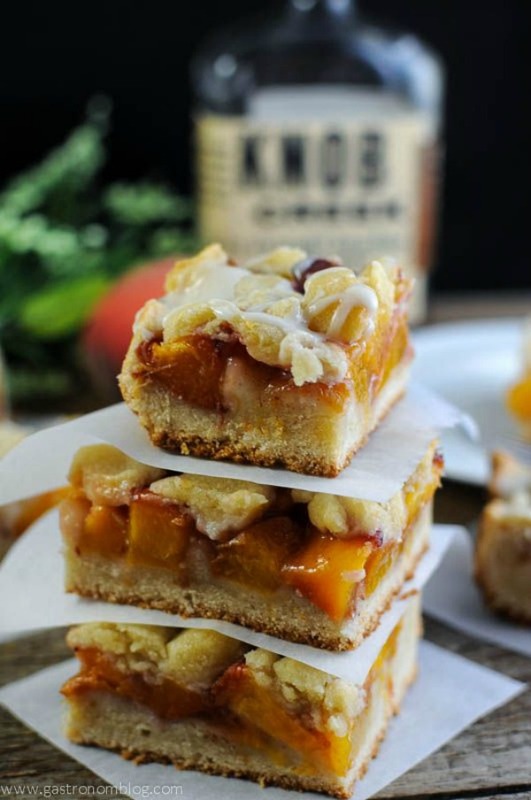 I am definitely adding that to my fall baking list! Oh boy I was hungry before I read this and I have work to do but now I am getting up to make food this post is so evil and so great at the same time. Last winter I had some apple cider waffles at a cute little diner my boyfriend and I went to. I can definitely attest to their deliciousness--I couldn't get enough of them! Omg so many yummy recipes!!!! I'm going to have to give a few of these a try! I'd love to try the Old Time Beef Stew! My grandma has a really great version of that that she makes when she comes for Christmas, but I need to get in the fall vibe and have some sooner! The pumpkin chocolate chip loaf and waffles are my fave. I have a sweet tooth. Great recipes. Holy wow! I started to comment on one of the recipes, then I wanted to comment on the next, and the next....These are ALL fabulous choices for the fall season! Ooh these sound so good! I wasn't hungry before but now I am! I love pumpkin EVERYTHING for fall, and chowder and heavier soups for cooler weather! Yum - now I'm hungry! AHH that pumpkin banana bread! I need to make that ASAP! OMGHHKP I need to try all of these asap. Currently drooling in the library because they all look so good! Drooling over that pumpkin bread! Will have to make it asap! All of these look delicious. Nothing says fall/winter more than beef stew. These recipes all look delicious! I have crazy food allergies and am allergic to most fall themed foods (I can't have apples or pumpkin) so fall can be a little rough haha! That old time beef stew - oh, I can almost taste it!! All look so delish. Thanks for the round-up! These look SO GOOD! I am saving them to make for sure! YUM YUM YUM! 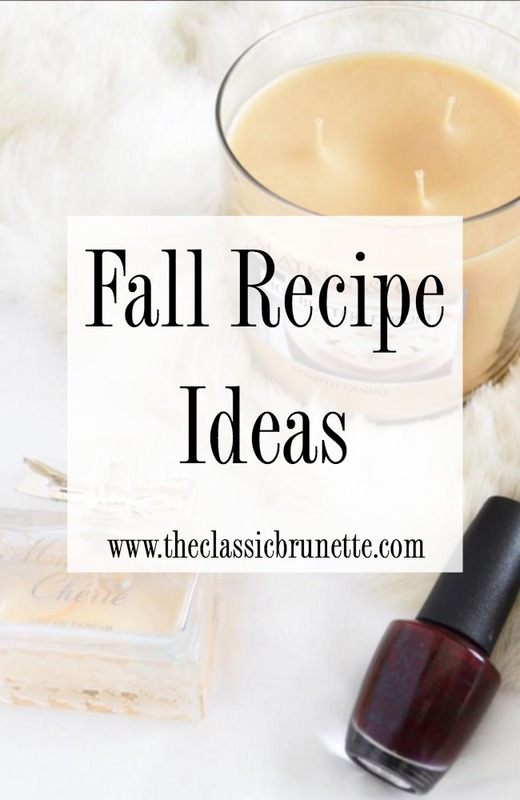 I have so many recipes I make specifically for fall, and now I'm totally in the mood to start making them! Thanks for sharing so many recipes! The chicken and potato chowder sounds really good!